With the Prott Viewer for iOS app, you can preview prototypes without the need to create an account. Store as many prototypes as you want and preview them offline, anytime, anywhere. Download Prott Viewer for iOS. Tap the preview URL link that's shared with you. The Prott Viewer app will open. Tap the play button to begin viewing. To see how it works, tap on the following preview URL https://prottapp.com/p/8c6815 to see what it's like in the Prott Viewer app! If you've been asked to preview the prototype, but don't have the preview URL link, contact the individual who wants to share their project with you. If you are the individual who would like to share a prototype but don't know where to find the preview URL, get it from your Prott for Web account or from the Prott for iOS app. The added bonus of the Prott Viewer app is that once the project is stored in the app, you can view it offline meaning easy access, anytime, anywhere. If there's a prototype that's been updated, simply select the prototype and tap the menu icon at the top right corner of the screen. 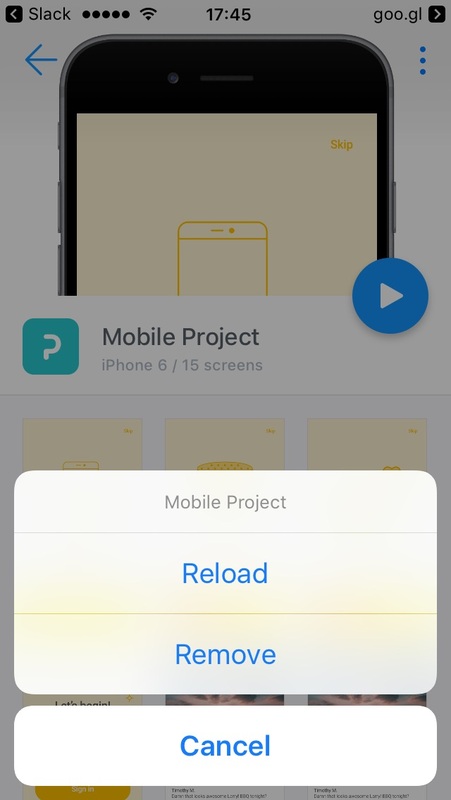 Tap reload anytime for the latest version of the prototype to be displayed. Note: Projects viewed in the Prott Viewer for iOS cannot be shared at this time. 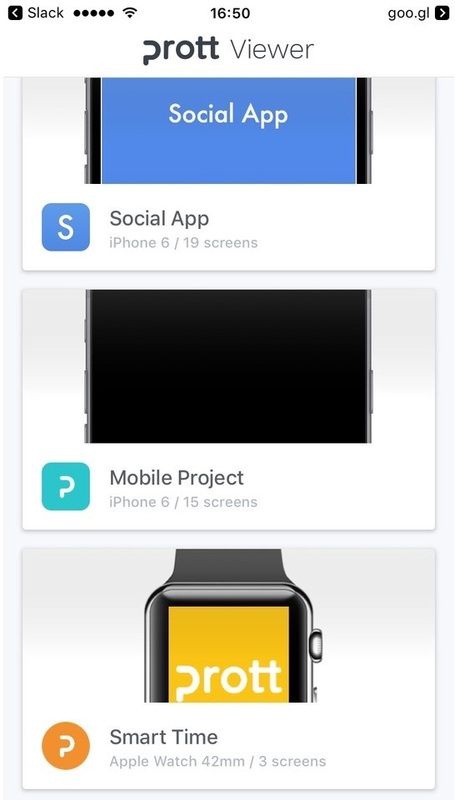 Tap and hold the preview URL link > tap Open in Safari > the page will load > tap the share icon > tap Add to Home Screen > the prototype will be added to your home screen.